Allister Jenks reviews the Behringer UCA222 Digital Audio Interface, we have CES interviews about the Ring Video Doorbell and The FLIR One Personal Thermal Imager. Then I’ll tell you a story about FFmpeg and video transcoding, followed by two more CES interviews with IOGear and Black & Decker. Finally we’ll have Security Bits with Bart Busschots. Hi this is Allison Sheridan of the NosillaCast Mac Podcast, hosted at Podfeet.com, a technology geek podcast with an EVER so slight Macintosh bias. Today is Sunday January 24, 2016 and this is show number 559. We’ve got lots of fun on deck today, including a review by good friend of the show and often host when I’m on vacation, Allister Jenks. Then we’ll hear a couple of interviews from CES. Next I’ll regale you with a tale of how I was actually the smart one for once and helped Dorothy with a technical problem. We’ll toss in a couple more CEs interviews and then clean our palettes with Security Bits with Bart Busschots. Before we dig in, I have a little personal news that I wanted to share with you. 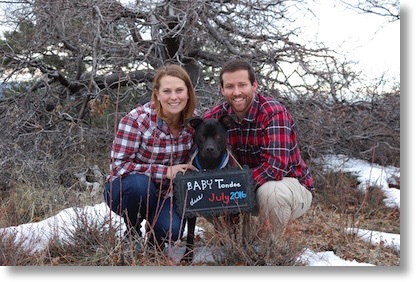 Our daughter Lindsay, also known as Jibblies in the live chat room and her husband Nolan are expecting a baby this July. Steve and I are of course thrilled to be grandparents to be. Warning for those of us who follow us on social media: you know how insufferable we are with pictures of our dog Tesla and now of our kittens Ada Lovelace and Grace Hopper, can you just imagine how annoying we’ll be with a grandchild??? You’ve got about six more months of relative sanity. On Chit Chat Across the Pond this week Bart was back with Programming By Stealth episode 7, entitled More CSS. FINALLY we got to learn how to format text with CSS. it was definitely my favorite episode yet! Don’t forget you have to subscribe to Chit Chat Across the Pond separately from the NosillaCast in your favorite podcatcher. As you might have noticed, Bart and I have been in the process of renaming Security Lite. He noticed a while ago that really often the stories didn’t fit our definition of “Lite” which was that he would only tell you about things you could do something about. Over time it has evolved into giving you knowledge about what you should light your hair on fire about and maybe just as important, those things where a conflagration was unecessary. And then there’s Interesting Security News. We started calling it Security Stuff, but we really didn’t like it. Last week during the live show, https://podfeet.com/live, I asked the NosillaCastaways for ideas and they rose to the occasion. Allister had lots of helpful ideas including the winner and our new title, “Security Bits”. He also suggested “Security Bytes” but I already have plans for that name. I hope to some day soon make the time to start a security newsletter for high tech people to send to their muggle friends and relatives. It will start slow and probably stay slow. Let me know what you think of that idea? Anyway, thanks to all of the NosillaCastaways for help in coming up with our new name, Security Bits! A pair of vulnerabilities were patched in the most commonly used SSH implementation – OpenSSH. These were given the CVE numbers CVE-2016-0777 & CVE-2016-0778. The first bug allows private data from a connecting client to be leaked to a malicious SSH server. This bug is in code that is on by default in SSH, but not actually usable because the matching server code was never written. Why something that cannot possibly be used for anything was enabled by default is beyond me – that seems like a really dumb thing to do! To exploit the bug, you need to be tricked into making an SSH connection to a malicious server, so this means that people who never use SSH are not in danger, even if their computers have a vulnerable version of SSH installed. The second bug is a buffer overflow, but this one can only be exploited in very specific situations – when the client uses the non-standard proxy command option as well as either X11 or agent forwarding, again, not enabled by default. This means that the attack surface for the second bug is much much smaller. Linux users should get updated versions of SSH via their normal software update channels. OS X users will probably get a patch via Apple eventually, but no such patch was included in the security update Apple released this week. Mac users can protect themselves from the more dangerous of these two bugs by disabling the non-functional feature at the root of this problem. This will obviously have no negative impact, and it is relatively easy to do assuming you have the skills needed to use SSH in the first place. If you don't use SSH, you don't need this fix, and if you do, you are probably comfortable on the terminal. On OS X 10.11 El Capitan the SSH config file is /etc/ssh/ssh_config, on earlier versions of OS X it's /etc/ssh_config. If you don't have sudo access you can also set this option for just your account by adding the line to ~/.ssh/config. The reality is that this bug will only affect a tiny percentage of OS X users – those who use SSH to connect to un-trusted servers. This is why I expect it might take Apple a while to push out the fix. That’s going to wind this up for this week. Don’t forget to send in your Dumb Questions, comments and suggestions by emailing me at allison@podfeet.com, follow me on twitter @podfeet. Check out the NosillaCast Google Plus Community too – lots of fun over there! If you want to join in the fun of the live show, head on over to podfeet.com/live on Sunday nights at 5pm Pacific Time and join the friendly and enthusiastic NosillaCastaways. Thanks for listening, and stay subscribed. A point of clarity from Security Bits, NodeJS is a JavsScript runtime, which can run a server. It can also be used as an app platform too, Atom for example is a Node app, that runs a “browser” frame to host the app.